As the Treacle Bites were such a success, I thought I'd try one of the other recipes on the same page. 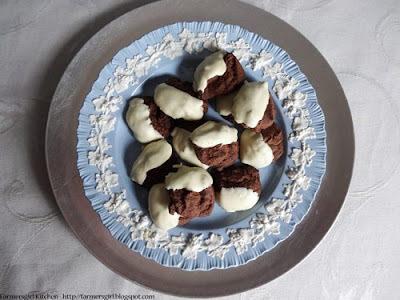 The Chocolate Drops were not in the same league as the Treacle Bites but they are also very good and incredibly easy to make. They taste a bit like a chocolate Viennese finger or shortbread, very short in texture. I'm not sure they were supposed to come out quite so lumpy as mine did, perhaps if I were more delicate in blobbing them onto the tray they might have looked better! 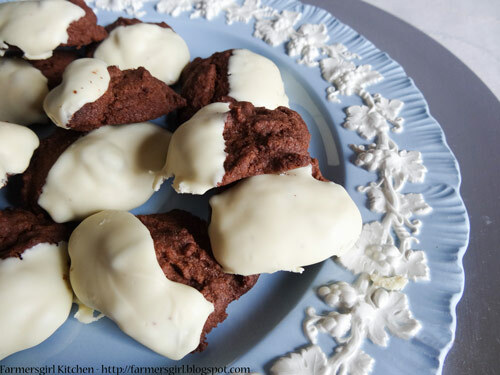 My answer to that was to melt about 100g of white chocolate and dip the dark Chocolate Drops into it so they were half coated, that certainly improved the look of them and, I have to say, added to the general pleasure of eating them. The theme for Tea Time Treats this month is 'Biscuits and Cookies' so I am entering these Chocolate Drops. Tea Time Treats is organised and hosted alternately by Karen at Lavender and Lovage and Kate at What Kate Baked. These sound very nice and like something that my children might enjoy making. I wonder if the mixture is soft enough so that it could be piped into biscuits? That might improve the look of them, although i think the white chocolate did the trick! Good Afternoon Janice, Anything which has chocolate and treats in the title is certainly a hit in my book.... and then more chocolate to dunk the treats.....this is certainly a winner. 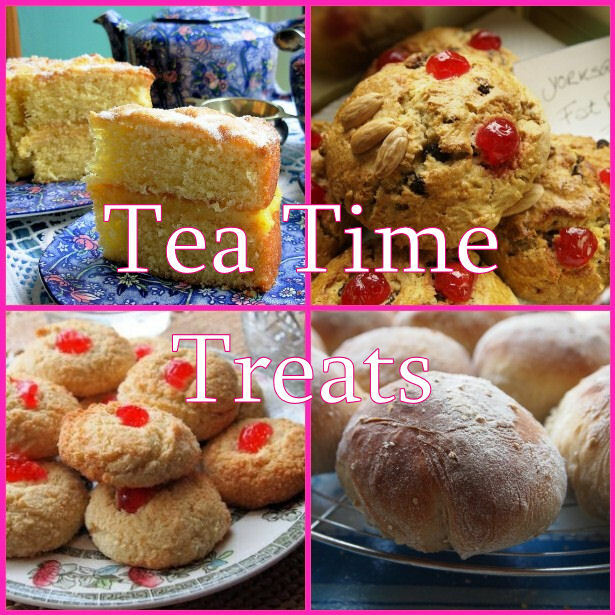 These sound a bit like Melting Moments and the white chocolate is such a lovely contrast - yummy! 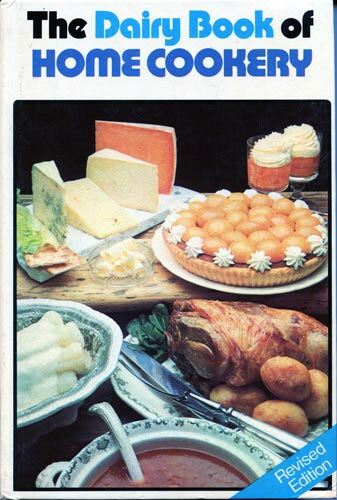 I have 2 Dairy Cookbooks but I've not seen that one before. I recently bought 1 from a charity shop only to come home and find that I already owned it doh!